Legendary documentary pioneer Albert Maysles (Iris, Grey Gardens, Gimme Shelter), working with a team of filmmakers, brings his trademark generosity of spirit to this enchanting portrait of passengers aboard Amtrak's Empire Builder, traveling en route from Chicago to Portland and Seattle. Unfolding in a series of vignettes, against a backdrop of changing American landscapes, the film observes a cross-section of people during moments of transition in their lives and speaking their own truths: college students prepare for their futures; a very pregnant woman seeks support from family elsewhere; and able-bodied men seek work in the oil fields of North Dakota. "Beautifully assembled and touching,” according to the New York Times, In Transit is both subtle and monumental—an empathetic examination of American life in the tradition of Studs Terkel and Walt Whitman. Best Documentary, Special Jury Mention, 2015 Tribeca Film Festival. 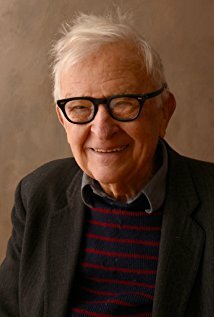 Albert Maysles (1926-2015) was a pioneer of Direct Cinema who was, along with his late brother David, the first to make nonfiction feature films, where the drama of life unfolds as is without scripts, sets, interviews or narration. Among his more than 40 award-winning films are some of the most iconic works in documentary history including Salesman, Gimme Shelter and Grey Gardens. Lynn True and Nelson Walker are New York-based filmmakers whose work has spanned subjects in South Africa, Congo, Tibet and the U.S. Their films include Lumo (PBS/P.O.V. 2007) and the Peabody Award-winning Summer Pasture, which was called “enthralling” by The New York Times and aired on PBS/Independent Lens in 2012. 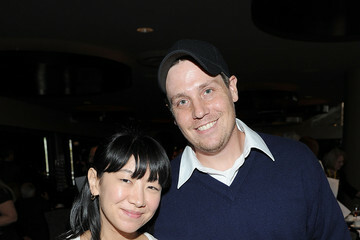 David Usui began his career producing television for NBC, the Discovery Channel and MTV. As a filmmaker, he has contributed work to The NY Times, the Atlantic and VICE. David studied philosophy and environmental studies at Western Washington University and is currently an adjunct professor at the Columbia University Graduate School of Journalism. Ben Wu is a director and cinematographer who splits his time between Brooklyn, NY and Austin, TX. He’s an award winning documentary filmmaker, and a two time Student Academy Award winner. His commercial and documentary work has appeared on PBS, MTV, VICE, and the NY Times. Ben is a graduate of UC San Diego and received his MA in Documentary Film and Video from Stanford University.